it’s probably because you’re bored with workouts you’ve been doing repeatedly for some time. It’s good to change the way you workout from time to time for a lot of reasons. It’s good for your body, because new exercises can engage those muscles that werent’ actually working, as well as for your mind, because you’re getting to know something new and it’s exciting. If you’re looking for an inspiration for your next training, why don’t you try muay thai? You can add a workout or two to your weekly calisthenics schedule to get a whiff of something new. Here’s all you need to know about it. It’s such a shame not many of us know how good muay thai training really is. And it’s a puzzle why we aren’t familiar with basics of this discipline, because it’s out there for ages! Well, maybe not for ages, because it’s known since 19th century, but still it’s a long time to learn a little something about it. Instead of learning what muay thai was back then, let’s focus on what it is today. Nowadays it is widely known as a combat sport. Muay thai techniques are used in various combat sports, for example Kickboxing and mixed rules matches. What body parts are engaged? Well, it depends what you have in mind. If you’re wondering, which body parts are used in a match, the answer would be: elbows, fists, knees and feet. But it is not the essence of muay thai training workout, it simply explains the rules of the combat itself. And you don’t want to actually fight, but just take what’s best in muay thai training to stay in shape and be healthy. Let’s get to the point: since muay thai is a combat sport, it’s very dynamic. It’s a discipline in which you are using both your arms and legs, so – if done properly – it can engage your whole body. It’s obvious it’s not just legs and arms. 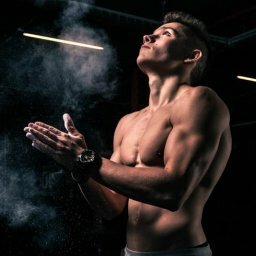 If you care about the technique at all, you will think about using your abs and other muscles in your body. When you do any muay thai training workout, you will be raising your legs high, using your arms a lot and moving fast all the time. As soon as you start your first muay thai training workout, you will find out what has been missing in training routines that you’ve been doing for past few weeks (or months). It will show all your weaknesses – but don’t be afraid of it! You should look forward to it, because getting to know them is the first step of improvement. You might have experienced it before: a sudden movement made you feel bad the next morning. It happens to a lot of people, unfortunately. If you feel any kind of pain or stiffness after your muay thai training, you should take it as a warning. It means that there’s area in your training that you neglected in the past. If any of your tendons feels like it’s not working and any kind of stretching would cause a pain, you should work on mobility. Put mobility training into your weekly schedule, so you can improve your performance not only in muay thai, but also in other disciplines that your practice. If you practice it regularly, you will prevent many injuries and build an incredible strenght. Along with mobility comes better flexibility – benefits all the way! Mobility training can easily improve the range of motion of our muscles and joints. This brings not only better performance, but also better posture on a daily basis. For some people mobility training is not a real training, because you don’t sweat like crazy during it and your muscles don’t get all sore – don’t listen to those people! Never disregard the importance of mobility. It takes time and therefore requires a lot of patience. But it’s worth it. Take a challenge and see for yourself. There is also possibility that you will feel odd during the workout. If something like „I physically can’t manage” crosses your mind, you might have problems with coordinations and balance. Stand up and try to kick an imaginary target in front of you. Remember to lift your leg up high. This wasn’t even real muay thai training, but still you can draw some conclusions. Was it easy for you? Or did you have a problem with balance? After all it was standing on one leg and taking a position that is not entirely natural. Chances are you struggled with keeping your balance. And it was just one kick! Imagine that you have to do a few of them, one by one – this requires great body awerness and coordination. You can work on that in so many ways: muay trai training is one of them. There is also a possibility that – even if you keep your position right and don’t have any problems with balance – you simply cannot keep up with the speed of a particular workout. You need your stamina to do any muay thai training workout right. It doesn’t matter if you are a runner, a swimmer or perform in any other discipline – working on your endurance is always a good idea. The beginnings are always hard and so will be if you decide to start doing muay thai training, but don’t let this discourage you. Sure there will be obstacles to overcome, but once you do this, you will not want to look back. Every training will make you feel stronger and more efficient. Take a look at all benefits of muay thai training mentioned above: better mobility and flexibility, improved stamina and your muscle strenght. Isn’t this what sport is all about? Besides all the mentioned benefits of muay thai training we must tell you: there’s more. Now when you know that muay thai training workout is so dynamic, you probably want to add it to your schedule as exciting cardio workout. There’s nothing wrong with it, really, but muay thai training is not just that. Sure, it helps you burn a lot of calories, but it’s just one benefit of it. Let’s be honest here – a lot of us live under huge pressure. For most of us it’s the job what’s causing stress and anxiety. Sometimes as we leave the office in the end of the day we just want to kick something to let these bad feelings out. Doing muay thai training might be a great remedy for such problems. By punching and kicking (even the air) you release the stress. Make it go away and replace it with endorphins floating all over your body. You will absolutely love muay thai for one more reason – you can do it in your room and you don’t need any equipment to do it right (maybe just a towel to absorb all the sweat). You can easily do muay thai training at home, even without a punching bag. Muay thai training workout is an excellent choice when you fell like you must do a workout, but you don’t have much time to go to the gym. Of course there is no way to learn technically correct muay thai at home, but you can always practice it in your own room once you get to know some basics. Just don’t knock over your roommate’s favourite lamp, okay? Muay thai training is a great complementary training for all kinds of athletes. It improves balance, coordination, forces you to stretch more and gives you a kind of strenght you have never even dreamed of – but you know that already. Sure it’s nice to wear those special gloves, kick the bag and be a badass like Jean-Claude Van Damme, but even he had to start somewhere (although it’s hard to believe now). You’re at this „Beginner stage” now and you just have to deal with it. But there’s a comfort. If you are dedicated and focused, you will see results of your work very soon. Let’s get to the point. As a beginner you will have to work on basics – that’s just the way it is, in every single discipline. First you will have to learn stance, footwork and some simple techniques of punching and kicking. Once you manage all that, you can take step forward and use those kicks and punches in various combinations. As you get more advanced, you can increase speed of your motions in your workout or just use some techniques in a warm up. Don’t forget to work on your mobility and flexibility all the time! This article won’t make you a professional muay thai fighter, but it will give you some basics and might inspire you to look out for more. Please keep in mind that you should consult doing any new workout with your trainer and/or your doctor. If there’s nothing against doing muay thai training at home for you, the only thing that is holding you back is your will. Nevertheless, remember that if you feel any discomfort or stiffness during your workout, you should never push yourself through it. It might cause an injury. Do what your body allows you to do, listen to it carefully and take a note about any area for improvement. Don’t push yourself too hard. If you consider yourself an athlete, you are probably more or less competitive, which means you want to achieve advanced level in any activity you start. Take small steps and if there’s a chance for injury, maybe take a step back and go back to basics: mobility and flexibility. When in doubt, ask someone experienced in the matter. If you don’t know any trainer or athlete performing muay thai, look for information online. Be careful though, check the sources and double check every tip you get. Watch tutorials online and check your posture during workout in the mirror. Finally, even if practicing muay thai is a challenge for you, always keep in mind that it should be fun for you. Otherwise you’ll drop it before we would say Hi-yah! during the kick.